The term “having heart” — living, working and pushing through challenges, with courage, passion and love — aptly applies to Sandra Baccus. At the heart of the term is “art” which also defines her life. 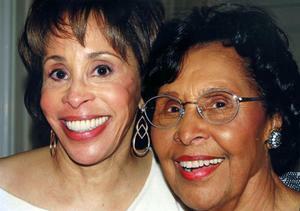 Sandra Baccus touched many lives through her altruism and commitment to education and the arts. The David C. Driskell Center at the University of Maryland, College Park, presents an important collection of 68 works from its Sandra and Lloyd Baccus Collection, September 10 - Friday, November 20, 2015. 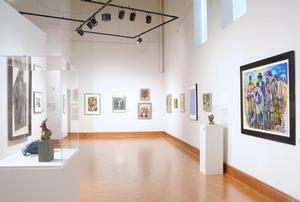 Collectors’ Legacy: Selections from the Sandra and Lloyd Baccus Collection is the first exhibition at the Driskell Center curated solely by David C. Driskell, Distinguished University of Maryland Professor Emeritus of Art, artist, art historian, collector, curator and philanthropist. 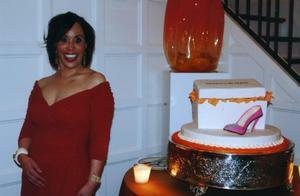 Sandra Baccus supported numerous organizations in the Atlanta area where she lived. She also was a board member of the Driskell Center for several years until 2006 when she resigned to care for her husband, Lloyd. Soon after his death in 2006, Sandra Baccus mentioned repeatedly that she would donate her art collection to the Center upon her death. In November 2012, soon after her unexpected transition, the staff at the Center was honored to learn that she had stated her wish in her will, and that the Driskell Center would be the recipient of her art collection. This gift includes more than 280 works and is valued at more than $2.4 million. 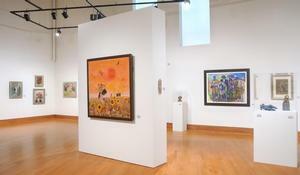 The breadth and depth of the Baccus Collection is unique in that it includes works by highly sought after contemporary artists as well as works of emerging artists from the Atlanta area. Highlights of the Baccus collection include paintings, drawings, collages, mixed media, and sculptures by Charles Alston (1907–1997), Richmond Barthé (1901–1989), Romare Bearden (1914–1988), Radcliffe Bailey (b. 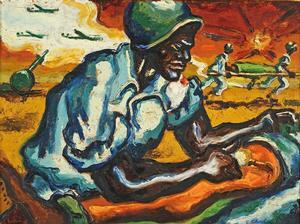 1968), John Biggers (1924–2001), Eldzier Cortor (b. 1916) , Aaron Douglas (1899–1974), David C. Driskell (b. 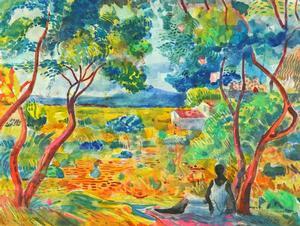 1931), Clementine Hunter (1886–1988), William H. Johnson (1901–1970) , Loïs Mailou Jones (1905–1998), Hayden Palmer (1890–1973), Faith Ringgold (b. 1930)Charles White (1918–1979), and Hale Woodruff (1900–1980), to name a few. The gift also includes important artist books and portfolios from Benny Andrews, Jacob Lawrence, Faith Ringgold, Betye Saar, and many more. 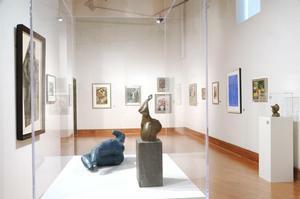 This gift expanded the Driskell Center’s art collection—already consisting of more than 1,300 works by African American artists, including more than 50 African objects—and has enabled the Center to present an even more comprehensive collection of some of the most important African American art. When Sandra Anderson and Lloyd Baccus began collecting art about 20 years ago, they chose to support African American painters, printmakers, and sculptors who lived in the Atlanta area and amassed a sizable collection of works mostly from artists whom they had met. Many collectors focus on established artists with maybe some consideration given to mid-career artists. Sandra had no such limitations as she evolved as a collector and continued to invest in the works of emerging artists. 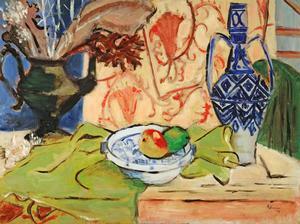 Though the majority of her collection is figurative, she appreciated and was open to abstract works of art in various media. See for example the beautiful work by Danny Simmons (b. 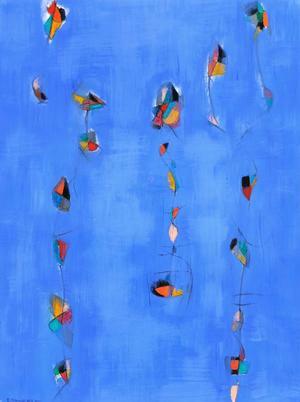 1953), Untitled (abstract Blue), 2005, acrylic and pastel on paper. The Baccus donation included a red abstract work by Simmons which was not including in the exhibition, but the pair complement each other beautifully. 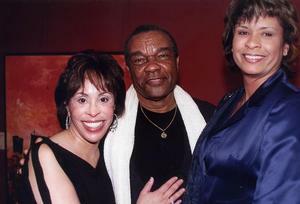 The friendship between David C. Driskell and Sandra Baccus – as well as Lloyd Baccus – began in 2000 at a benefit event. 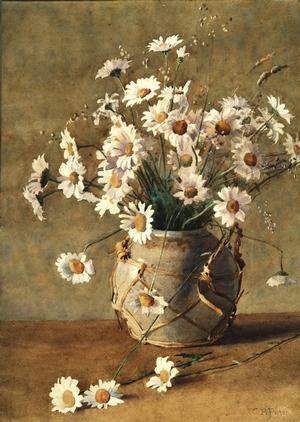 A few years later, at their Atlanta-area home, Driskell had the opportunity to view an array of important paintings, photography, prints and sculpture, some of which dated from the late 19th century (e.g., Still Life with Daisies, n.d., a watercolor on paper by Charles Ethan Porter [1847-1923])—and continuing well into the first decade of the present century (e.g., photographers Sheila Pree Bright [b. 1967] and Skip Bolen [b. 1956]). Sandra Baccus’ dedication to David C. Driskell and the David C. Driskell Center at the University of Maryland, and her commitment to the arts was publicly highlighted by the key role she played in establishing the David C. Driskell Prize at Atlanta’s High Museum of Art in 2005. This was the first national award to honor and celebrate contributions to the field of African American art and art history. 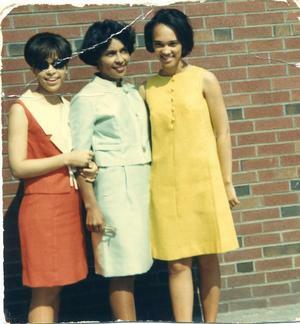 Sandra Baccus’ life was patterned after that of her mother, Ada Collins Anderson, whose philanthropy continues to endow and inspire countless others, even in her tenth decade. The Driskell Center is profoundly grateful for the generosity of Mrs. Anderson in helping to make the success of this exhibition possible. The David C. Driskell Center is deeply honored to have been given this body of work and to have the opportunity to exhibit selected works at our gallery space and thus share this gift with our audience. Sandra Anderson Baccus was born in Philadelphia, Pennsylvania on September 13, 1945 to Ada Collins Anderson and Marcellus Jack Anderson. She grew up in Austin, Texas, where she exhibited leadership skills at an early age. As president of the student body in the 7th grade she had the distinct honor of presenting red roses to Mrs. Eleanor Roosevelt. As a graduate of Boston University and City College of New York, from which she received a Master of Science in Education in 1972, Sandra’s love for teaching and mentoring future generations was fostered. This was evident in her belief that the Arts and volunteering provided a forum for children to learn more about themselves, their history and their future. She was initiated by the TAU Chapter of Alpha Kappa Alpha sorority at Boston University, which began her mantra of “It’s not easy being Queen.” She was co-founder, and president of several companies in the healthcare and energy industries and fully accountable for all facets of the operations. Under the leadership of Sandra and her husband Lloyd, Correctional Medical Associates, Inc. (CMA) flourished while providing medical and mental health services at the Fulton County Jail for 25 years. During CMA’s tenure, the Fulton County Jail received national accreditation as well as the coveted award, the Triple Crown. Baccus Enterprises invested in solar and other renewable energy sources. Sandra Baccus and her husband also developed Lottery Services of Georgia, a firm that repairs Georgia’s lottery and voting machines. In addition to offering undeniable strengths corporately, Sandra Baccus’ history of community service, fund-raising for nonprofits and her role as an arts advocate extended over two decades. 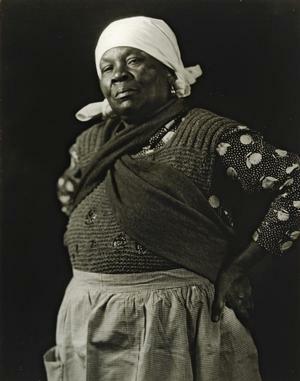 At the time of her passing, her most recent Board memberships were Georgia Primary Bank, the National Black Arts Festival’s Fine Art + Fashion, the HistoryMakers, the African American Experience Fund of the National Park Service, and the Community Relations Committee of the High Museum of Art. 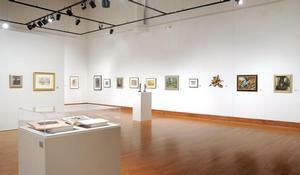 Homes, and the Texas Southern Museum of Art. Sandra Baccus resided in Atlanta, Georgia for over 25 years, and touched many lives in the city and beyond through her generosity and commitment to education and the arts. She was recognized by numerous organizations for her contributions to both the public and business communities. The 4th Congressional District honored her with the “Georgia’s Top Black Business” award. Sandra Baccus also spent four years as a member of the Governor’s Small and Minority business Development Advisory Committee. She also received Georgia State University’s “Distinguished Service to Education Award” award. The National Black Arts Festival’s “Founder’s Award”, and the “Excellence in Service” award from the Hammonds House Gallery. Mrs. Baccus established the M. Jack Anderson Emerging Talent Award in honor of her brother, the late M. Jack Anderson, through the National Black Arts Festival. This award recognizes individuals who have distinguished themselves as cutting edge, creative, and innovative fashion designers and who possess leadership qualities in their personal life and professional aspirations. Sandra Baccus passed unexpectedly in Roswell, Georgia on Sunday, February 5, 2012. 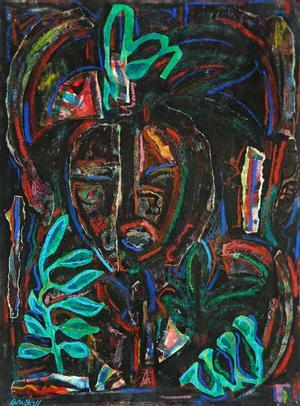 1 David C. Driskell, “Sandra Baccus: Passionate Collector and Benefactor,” in Collectors’ Legacy: Selections from the Sandra and Lloyd Baccus Collection, The David C. Driskell Center at the University of Maryland, College Park (College Park, MD: The David C. Driskell Center, 2015), 12. 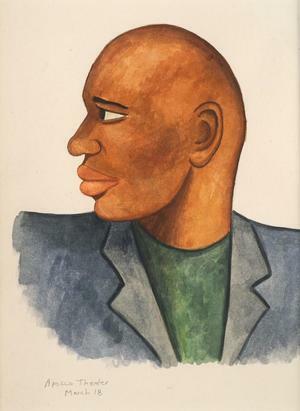 12 Jerry L. Langley, "David Driskell: Nearly a Half Century of Collecting," in the International Review of African American Art, Hampton University Museum (1999), 10. 14 Excerpts from “Obituary,” Celebrating the life of Sandra Anderson Baccus. Zion Missionary Baptist Church, Roswell, GA. Feb. 11, 2012.